Given the recent termination of the Deferred Action for Childhood Arrivals (DACA) program and the controversy surrounding the immigration system as of late, in this post we address the numerous myths surrounding the DACA program and of immigration law in general. Although there are numerous studies and empirical research debunking the common myths attributed to the immigration system, as well as detailed economic reports published by governmental agencies corroborating the positive effects of immigration, Americans continue to hold a negative perception of immigrants and are increasingly skeptical of the immigration process. In truth, much of these perceptions are perpetuated by the unwillingness of Americans to obtain readily available information on the internet, to discover that the immigration process for individuals who entered the United States illegally is riddled with obstacles. More and more we are seeing Americans rely on news stations to accurately deliver the news and do the work for them. Unfortunately, the best way to understand the immigration process itself is to go straight to the source, and not rely on such sources for information. The public needs to know the facts to better understand that the average immigrant actually has very few immigration options available to them under the current immigration system. Most Americans believe that it is relatively easy to get a green card. This cannot be further from the truth. Immigration laws are highly complex and are designed to make it more difficult for extended family members, low-skilled workers, and undocumented immigrants to immigrate to the United States. 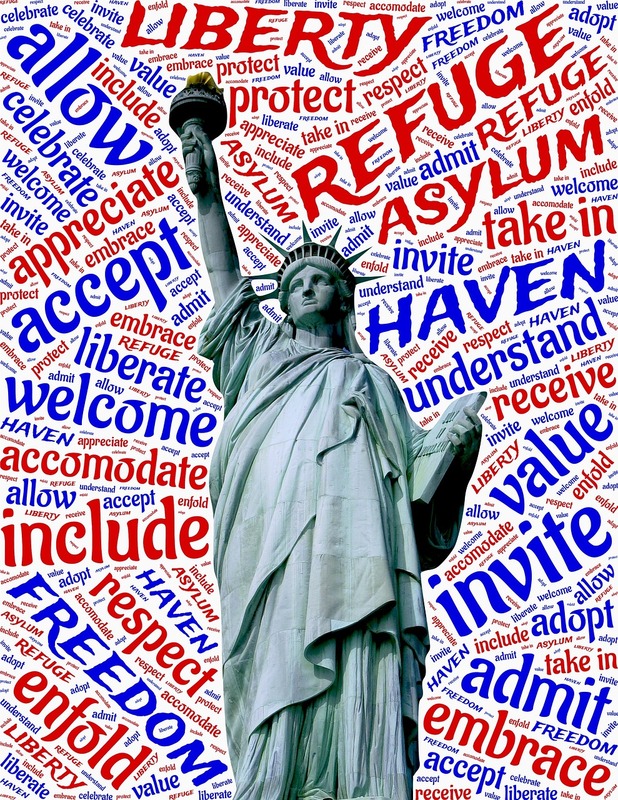 Under current immigration laws, there are generally only two ways to immigrate to the United States and obtain permanent residency, outside of special immigrant categories specifically reserved for special categories of individuals including: asylees, refugees, certain witnesses of crimes, victims of abuse, and individuals who may qualify for withholding of removal. It is extremely difficult for individuals to qualify for permanent residency under one of these special categories. Outside of these special categories, foreign nationals may immigrate to the United States and obtain permanent residency, only if they have a qualifying family member (such as a US Citizen or LPR spouse, child, etc.) who may petition for them or if the beneficiary works for a U.S. employer on a valid visa who is willing to sponsor the foreign national by petitioning for their permanent residency. Although U.S. Citizens may petition for extended family members such as unmarried sons and daughters, there are annual quotas which limit the number of extended family members which are granted permanent residency (see visa bulletin). Due to these quotas, extended family members of US Citizens, who are living abroad, typically wait years and even decades until they are eligible to obtain permanent residency. Permanent residents wishing to petition for immediate or extended family members living abroad fare even worse. Immediate relatives of permanent residents must wait several years before obtaining permanent residence depending on their country of chargeability, and extended family members typically wait for decades. The same is true of immigrants applying for permanent residency on the basis of employment. Despite their professional status as “highly skilled workers” and attainment of advanced degrees, highly skilled immigrants typically wait several years before obtaining permanent residency depending on their country of chargeability. This is very unfortunate given the country’s need to attract the best and brightest immigrants. What’s more is that only certain work visas allow a foreign national to obtain permanent residency through their employer. Such visas are known as “dual intent” visas. By definition the conferral of a non-immigrant U.S. visa does not allow a foreign national to immigrate to the United States, because the purpose of a non-immigrant visa is to remain in the United States for only a temporary specified period of time. A dual intent visa by contrast is a visa that allows a foreigner to enter the United States as a non-immigrant, but allows the individual to retain the option to apply for permanent residency in the future. These types of visas are limited and include the K visas (fiancé visas), H-1B (specialty occupation), L-1 (intracompany transferee executive or manager), and O-1 visas (extraordinary ability), the last three of which are typically reserved for professionals or immigrants of “extraordinary ability.” The E-2 treaty trader visa although a dual intent visa, does not allow the investor to apply for permanent residency. This is perhaps the most troubling myth, and the most patently false myth perpetuated by anti-immigrant advocates. The DACA program, was an Obama era program that was passed by executive order in 2012, to shield certain undocumented immigrants who came to the United States illegally as children from deportation, by providing them a renewable 2-year “deferred status” and employment authorization. The rationale is that these children did not have a say in coming into the United States illegally, because they were brought to the United States illegally by their parents. The DACA program is in no way, shape, or form equivalent to amnesty. Amnesty is essentially the power to pardon an undocumented individual for their unlawful status in the United States, and creates a pathway to lawful permanent residence for undocumented immigrants. DACA does not provide undocumented immigrants a pathway to permanent residency, rather it confers on recipients a 2-year renewable employment authorization card that allows them to obtain lawful employment, a social security number, and promises to shield these individuals from deportation. Amnesty has not been provided to undocumented immigrants since 1986, when President Ronald Reagan signed the Immigration Reform and Control Act, granting amnesty to 3 million undocumented immigrants living in the United States. While current immigration laws allow certain undocumented immigrants, who came to the United States illegally, to apply for permanent residency, the population of individuals eligible to do so is not as large as Americans would think, and moreover the application process for such individuals is extremely complex, expensive, and emotionally taxing. Most undocumented immigrants have very limited finances and cannot afford to pay the extortionate legal and attorney fees involved in such a complicated process, which often run in the thousands of dollars. In order to apply for permanent residency, such individuals must first obtain a waiver for grounds of inadmissibility. To be eligible for a waiver, the undocumented immigrant must have only accrued unlawful presence in the United States and NOT committed additional immigration violations (have been subject to multiple deportations, or taken voluntary departure), the undocumented immigrant must also be married to a U.S. Citizen, and the U.S. Citizen spouse must demonstrate extreme hardship should the undocumented immigrant be found inadmissible to the United States. Generally, once the waiver is approved, the undocumented immigrant may apply for permanent residency although some exceptions may apply. Some individuals are eligible to apply for permanent residency from within the United States, but many must depart the United States and immigrate through a U.S. Consulate abroad. In short, for the lucky few who may take advantage of a waiver of inadmissibility, the process is extremely complex and very expensive. This myth is also very troubling. Individuals applying for immigrant benefits must answer extensive questions relating to their family history, criminal history, employment history, and immigration history in their applications, all of which are scrutinized at the inception of an application for immigrant benefits. Secondly, applicants for immigrant visas must undergo a biometrics scan, and a pre-screening process where sophisticated technology is used to check the applicant’s background and any crimes committed by the applicant. Third, applicants for immigrant benefits are required to attend an in-person interview before an immigration officer who again will ensure that the individual is not a dangerous criminal and is eligible for the immigration benefits he or she seeks. Fourth, immigration often issues requests for evidence if they are not convinced that the applicant is eligible for the immigration benefit they seek or to request detailed criminal records from the applicant. Fifth, immigration may deny the applicant if in their judgment the individual is considered dangerous or a threat to our national interest. Alternatively, immigration can schedule an additional interview to question the individual further regarding their criminal history. While the system is not foolproof, and there is always a risk that a dangerous individual might fall through the cracks, the system has various different mechanisms to prevent this from happening, and it is a relatively secure system. MYTH #5: Immigrants are more likely to commit crimes than native-born Americans. This myth is also patently false. There are numerous studies which support the fact that immigration does not cause crime rates to rise, and that immigrants are actually less likely to commit crimes or be placed in prison, relative to native-born Americans. A report published by the Americas Majority Foundation, a conservative organization, found that “crime rates are lowest in states with the highest immigration growth rates.” According to the report in 2006 the 10 states with the highest rates of immigration had the lowest rates of crime in general and violent crime. For more information on these and similar studies please click here. MYTH #6: Building a wall along the U.S.-Mexico border, and deporting all undocumented immigrants from the United States, would enhance national security. Unfortunately, this myth has cost the United States billions of dollars, despite experts testifying before U.S. Congress to the contrary. It is a fact that a border wall and mass deportation efforts would have little impact on security, while adversely affecting the United States economy with the gargantuan amount of money that would be spent in doing so. During the 2016 campaign President Trump advocated building a wall along the length of the 2,000 U.S. Mexico border to enhance U.S. national security, deter undocumented immigrants, and transnational crime from penetrating the United States. While the security benefits from building such a wall and engaging in massive deportation efforts would be small, the economic costs for sustaining such an operation would be astronomical. Experts have reported that building a border wall to stop undocumented immigration would have little utility because according to estimates nearly half of undocumented immigrants living in the United States unlawfully entered the United States on a valid visa, and overstayed that visa after its expiration date. Moreover, such individuals who have overstayed hail from countries all around the world, and did not enter the United States from Mexico or Central America. In addition, there is substantial evidence that immigration rates are at an all-time low with the exception of unaccompanied minors fleeing the violence from Central America. In addition, a border wall is not likely to have a substantial impact in deterring large and sophisticated criminal organizations involving in drug trafficking and human smuggling, because these individuals often lead contraband through a port of entry, through underground tunnels, or through the border fence that is currently in place. Building such a border wall is estimated to cost between $15 and $25 billion, and cost $750 million to maintain. Engaging in massive deportations may also have a small impact on the security of the United States, but at a huge cost to our economy. It is estimated that engaging in such efforts would cost $100 billion to $300 billion over the next 20 years, and cause the labor force to shrink by 6.4%, and shrink the nation’s Gross Domestic Product (GDP) to 6% ($1.6 trillion less than current levels. Now that you know more about immigration than you did before, remember to share the information with others who may not know or understand our complicated immigration system. Congress cannot continue to ignore our country’s pressing need for immigration reform so that we may retain the best and brightest, create more opportunities for highly skilled workers, and come to a resolution on what our country will do about the 11 million undocumented immigrants living in the United States. Contact your Congressman today to pass comprehensive immigration reform. To schedule a free first time consultation please contact our office.